Today we’d like to introduce you to Emily Sanchez. Emily, please share your story with us. How did you get to where you are today? I graduated from SDSU with a degree in Hospitality and Tourism Management and already had a job offer lined up for me in the industry. It was by no means a dream job, but of course, I was happy to be one of the lucky ones with a job offer after college. After a year in my hospitality job, I was in search of something more. I get very tired of the same routine and I was no longer fulfilled or happy with where I was in my career. At the time, my boyfriend Sina Ouraie had started a saffron and spice importing business with his father by the name of Zaran Saffron. I helped him along the way and quickly realized how much I loved brand development and was surprisingly very good at it. As the company began to grow and succeed, we both decided that this was something more than just a side hustle, and we were ready for more. So, I quit my job, and as I continued to help with the business, we began to think of more ideas. Tea is something we both felt very strongly about because it has been very popular in both our households, me being Mexican, and him being Persian. 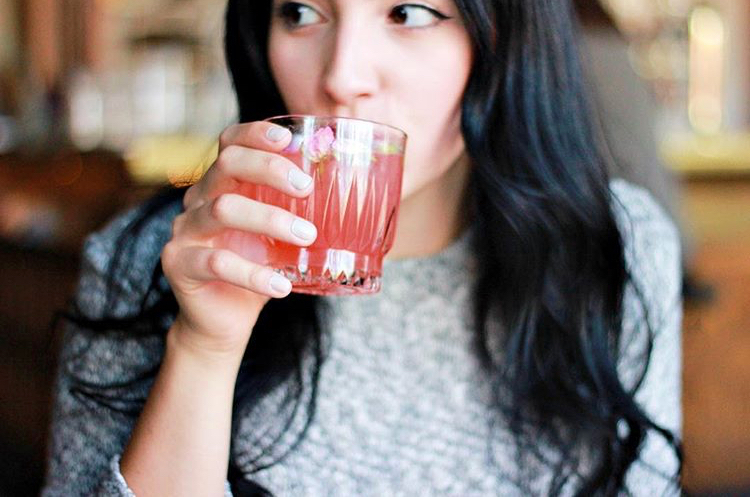 What we didn’t want was to be like any other tea company out there. I see myself as very versatile and resourceful, so we decided to make our teas the same way. The Damascena Rose (Damask Rose) is used not only as tea but in many beauty remedies and at home treatments due to its health benefits. I also started noticing it being used more and more in the food industry as a garnish due to its aesthetic look. 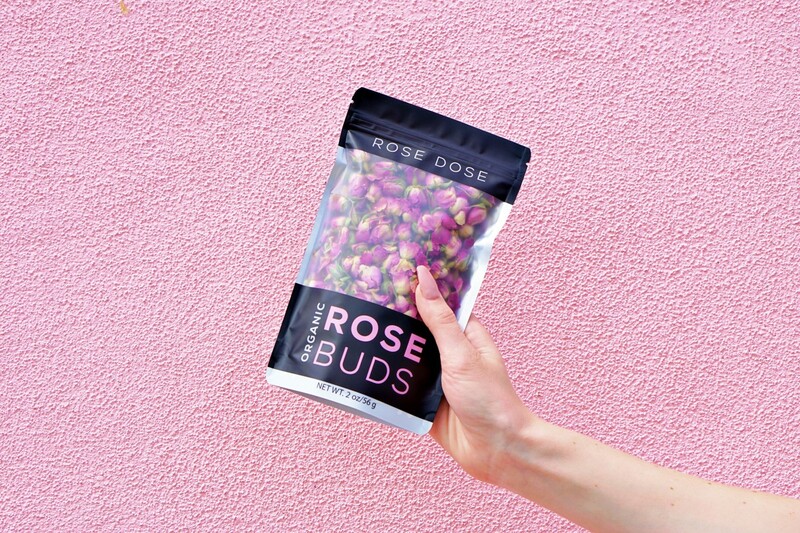 So, we decided to build the brand around this perfect rose, and together we created Rose Dose. After so much searching, we found that the most beautiful and aromatic dried damascena roses are from none other than, Bulgaria. Finding organic roses was also very important to us. 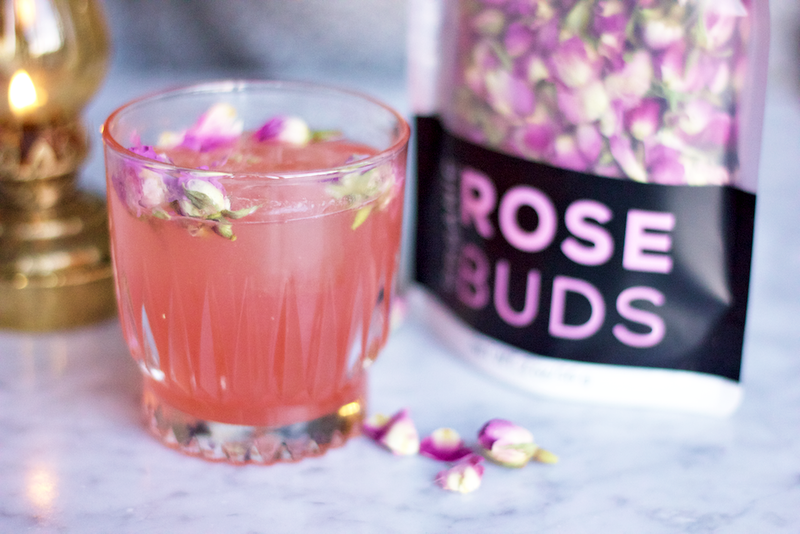 We wanted to make sure that every user will feel comfortable using the roses in whatever way they please; whether it’s just for decoration or when drinking it as tea. 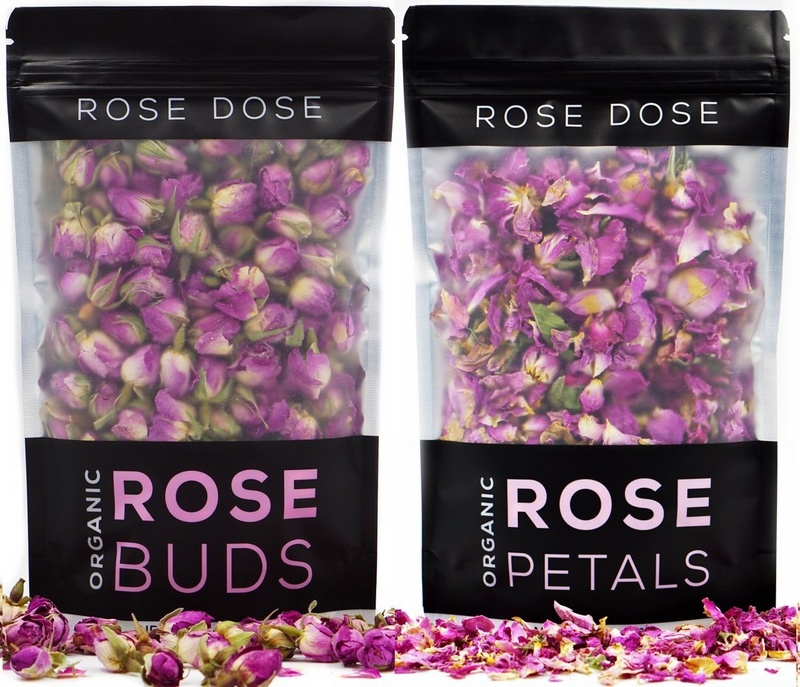 There are many medicinal values in these roses, which have been discovered through practices used as far as in ancient times. We want to bring back those creative uses and also introduce them to other herbal products. From there on, we decided to also include other herbs that would compliment the roses; so we also offer Lavender, Chamomile, Elderflower, Raspberry Leaf, Peppermint Leaf, and Lemon Balm. We also love sharing the many innovative ways you can use these natural products, beyond just tea! 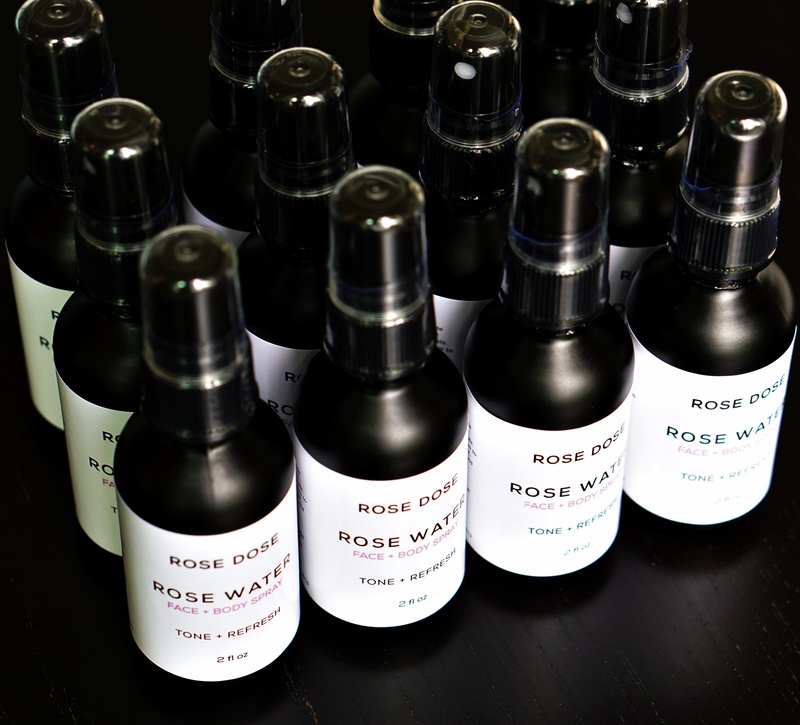 Besides our herbs and different tea blends, we also recently released a new Rose Water and Rose Soap. 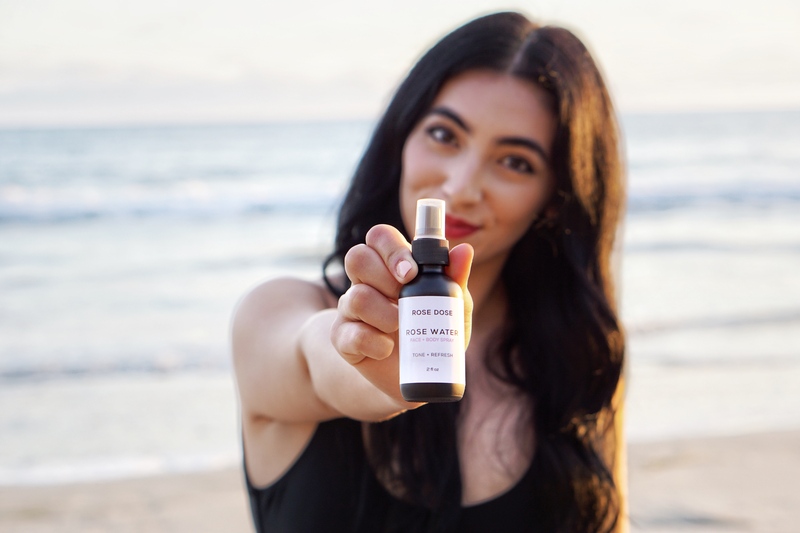 The Rose Water is made using 100% of our rose buds and petals and can be used as a toner or refresher as a face and body spray. Our Rose Soap is handcrafted and made with all natural ingredients and can be used as a face and body bar. Both of these new items are all made here in San Diego. 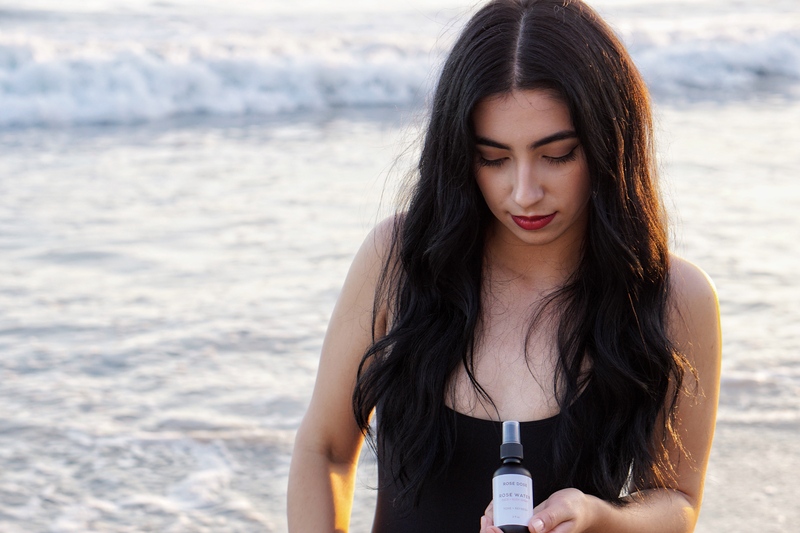 We are currently a 5 star brand on Amazon, are available on our website, and can even be found at a few boutiques across the country and even a local Carlsbad boutique, WYSH. You can even find our rose buds and petals used in Rose Lattes like at S3 Coffee here in San Diego, Dripp coffee in Chino/Fullerton, and more! At the moment, we have an office in Oceanside but hope to soon expand to a storefront. So, keep a look out for seeing more of Rose Dose in the future! I don’t think there will ever be a smooth road when running your own business. Every day is different and you will be thrown at random challenges, but the fun of creating something that is my own is what keeps me motivated. My boyfriend and I both want this business to succeed, so we know that no matter what the struggle is, there has to be a solution. I have been very lucky to have an amazing business partner like my boyfriend. He is extremely intelligent and handles the tasks I am not the best at. We definitely balance each other out and know who is better at handling certain situations. There have of course been many sleepless nights, whether its editing photos or videos, packaging orders, etc. But when I start something, I know I need to finish it, so I do now, complain later. My advice for women would be to surround themselves with a supportive team and other strong women. I have a few friends who run their own blogs and Etsy shops, and there is nothing more fun than hanging out and talking about it. It makes me forget about the difficult times and reminds me of how much fun and rewarding it has been. Alright – so let’s talk business. 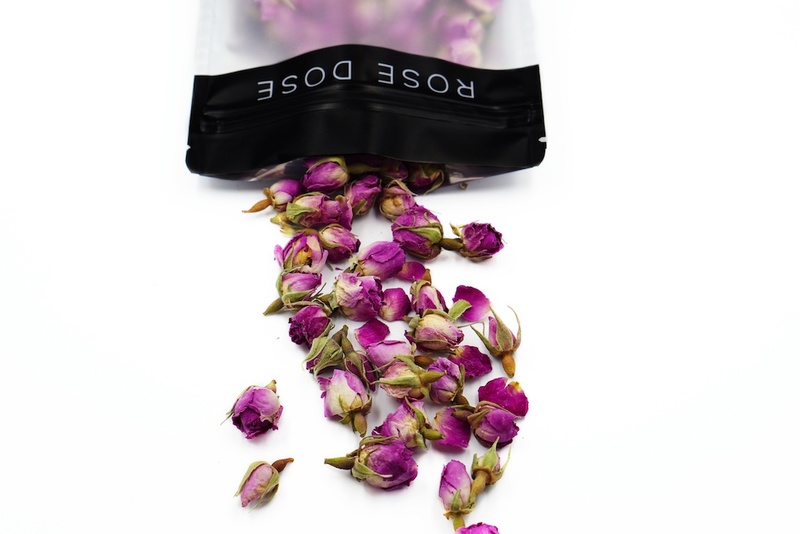 Tell us about Rose Dose – what should we know? What I think sets us apart from other brands is our amount of detail and quality control. 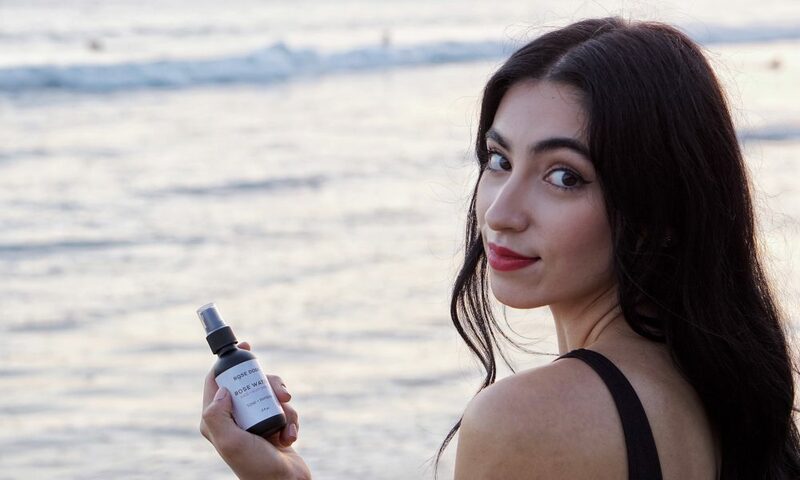 Before starting this brand, we did our research and purchased other similar products. We always thought something was missing from every other small brand or that their quality of the product could be better. So, we did just that. We import the finest organic herbs from Bulgaria and make sure that every order is presentable. Our packaging also took a lot of time to develop because we wanted to make sure we used food grade pouches that are reusable and are aesthetically pleasing. I absolutely love podcasts! I love listening to them when I am working because they keep me motivated and offer great advice. Shopify Masters: Shopify is our eCommerce platform so this podcast interviews other online shop owners and they offer amazing advice about growing your shop. Beyond the To Do List: I like this podcast because it gives you tips on how to stay productive while living a busy lifestyle. It also offers tips from successful people in different industries and they share their daily routines and how they stay productive. My favorite non-business related podcasts are: The Skinny Confidential, Lady Gang, and Getting Curious with Jonathan Van Ness. I don’t use a bunch of apps. I love Snapseed for editing photos and preview for planning out how our Instagram page will look.